There are a lot of ways of travelling to reserved places in Primorye. Sihote-Alin reservation is one of these places. In the reservation, there are many routes for tourists that allow seeing everything without damaging the nature. Every year 3000 people come to Sihote-Alin. Foreigners visit it as well. Surprisingly, not a lot of Chinese come here, but Australians, Americans, Germans, French are very fond of the park. The national park is full of photo cameras on trees. It captures wild animals in their natural habitat. This year is the year of ecology in Russia. 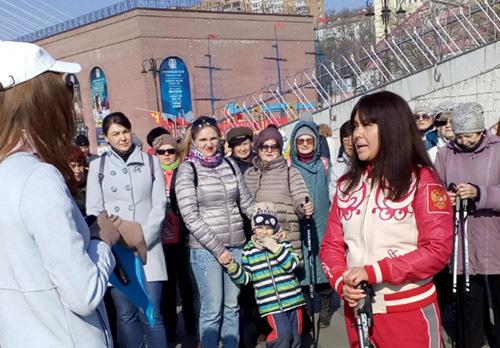 The reservation’s workers plan to open a new tourist’s route “Arseniev route”. It's going to be 56 km long. The other famous place for eco-tourism is the national park “Bikin”. Its territory is pretty hard to reach. There are almost no roads. The only way to get there is by boats. Lazo reservation has its own tourist routes as well. Five rare animals live there. One of them – Amur tiger. 17.11.2016 Experts will evaluate the impact of tourists on the nature of the Leopard’s Land national park.